Live and Uncensored! : The Kind of Thing that Haunts You Forever. 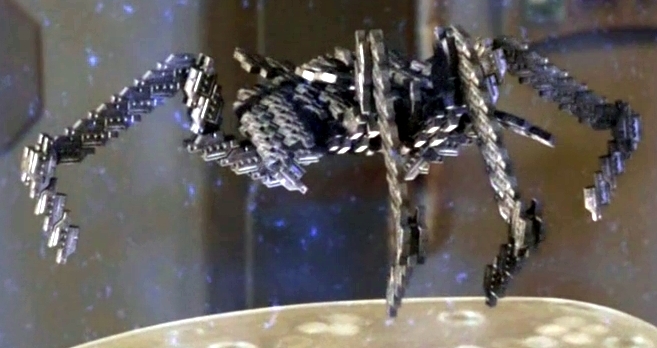 Stargate's early take on grey goo. Greygoogreygoogreygoo. The term grey goo was coined by nanotechnology pioneer Eric Drexler in his 1986 book Engines of Creation, stating that "we cannot afford certain types of accidents." In 2004 he stated "I wish I had never used the term 'grey goo'. Le sigh. *"
In other news, this wikipedia article about grey goo makes me miss Stargate SG-1. 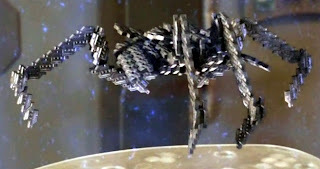 Remember that crazy little sad girl who made the Replicators? The mere thought of them still gives me the chills! *"Le sigh" part added by me. But I could tell he wanted to.